I, for one, am glad to say goodbye to 2014. It was a tough year for me: losing my mom, losing a job I have loved for most of my adult life, losing a sister-in-law who was way too young to die. It was a year of loss and grieving. It’s hard to put a year like that in perspective. I don’t do resolutions. I choose a word or phrase to pray into for each year. Last year I chose “Keep your eyes on Jesus.” I had to repeat this reminder to myself daily as there were so many tragic things around me. It kept me from despair. The world was also grieving this year. Girls were stolen from their school in Africa and married off. Students taken from a college campus and murdered in Mexico. Students were shot inside their schools here and abroad. Airplanes disappeared into the sea. Ebola flourished. The racial injustice alone was enough to send one into depression. How do you let go of a year like that? I’m an eternal optimist and even I’m having trouble. 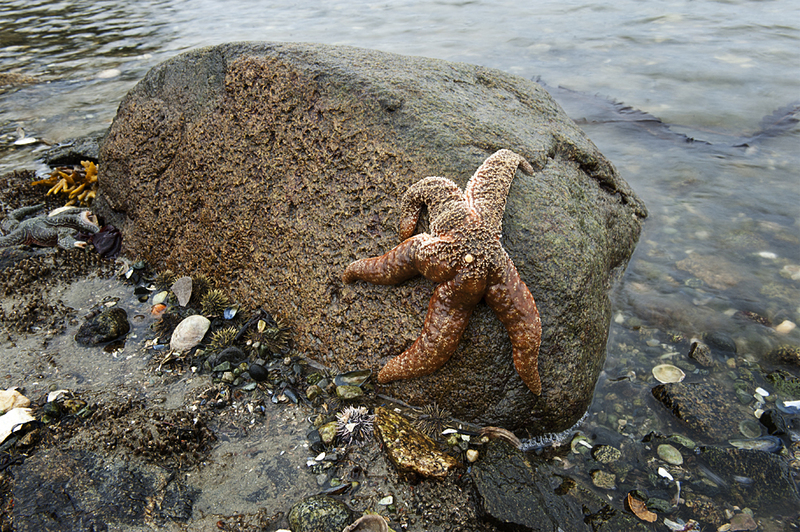 Last night I received the image of a starfish clinging to a rock. That is me; I’m a starfish clinging to “The Rock that is higher than I.” I like that image as I have no idea what I’m doing with my life. I left my job because I felt Jesus wanted me to love the LGBTQ community that has been estranged from the church. I’ve started Shalom, a place of welcome for the LGBTQ community. It doesn’t feel like much, a small offering. I’m working other jobs to survive. My time to write is compromised. I’ve left a wonderful job where I have trained, and loved, and prayed for thousands of people. Did I do the right thing? Will my leaving make any difference at all? I’m a starfish clinging to the Rock. The good news is that being a starfish is enough. Jesus knows where he is going and I can just go along for the ride. If I never train another group, or influence another national movement in the spiritual care of its staff, or lead a prayer ministry program…it’s enough. I’m along for the ride. I can wait for the Rock to peel me off and fling me like a ninja star into a person’s life. I can bring hope and love and healing to that one person. It is enough. So, this year, I’ll be a starfish. It’s the only thing that makes sense to me. Everything else is too scary, too dark, too hopeless and unsure. The Rock is a safe place to be and I can rest assured that I’ll be going in the right direction, to those who need me most, those on the margins. Because that is where the Rock always heads! What is your word, phrase or metaphor or resolution for 2015? Next postOn-line Dating for Seniors or Dating My Mother! Jacci, I love reading about life through your lens. Thank you for that imagery and your vulnerability.